The search seems hopeless—until Charlie receives a mysterious note, written in Liam’s handwriting. The note leads Charlie and Ana to make some profound discoveries about a magic they didn’t know existed, and they soon realize that if they're going to save Liam, they may need to risk being forgotten themselves, forever. Rebecca K.S. Ansari’s debut novel is a stunning contemporary fantasy about love, loss, and the power to forgive that we all have inside us—even if we sometimes forget that it’s there. Rebecca K. S. Ansari is a former ER doctor. 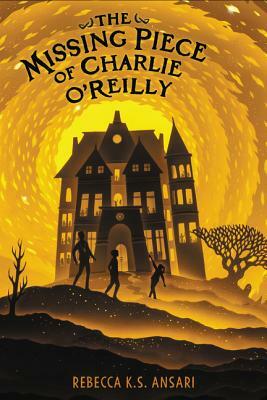 The Missing Piece of Charlie O’Reilly is her first book. She lives in Minnesota with her husband, four sons, and some seriously massive pets.